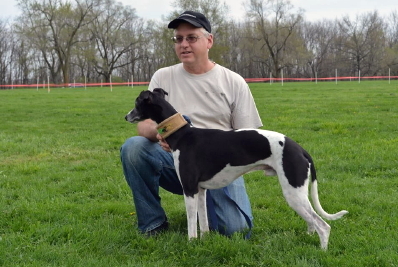 Division II was created for the whippet that wasn't bred to be a top race dog but loves to race, and runs well against similarly matched competition. DII is not sanctioned by WRA nor by NOTRA. It does not affect the board or the running of races in any way. Eligibility for DII requires no more than 25% (3) racing champions (WRA, NOTRA, or NAWRA) in 3 generations. CWA, CARA, and Field Championships do not count against eligibility. Eligible dogs who accumulate more than 5 Championship points in WRA, NOTRA, or NAWRA, will no longer be eligible for Division II points/awards. As of 6/1/2015, only dogs who have been added to the DII approved list will be eligible for DII points, and only dogs in the DII database count as entered DII dogs in a race meet. Dogs which earned DII points prior to 6/1/2015 are already approved and retain their points. It is the option of the club holding the race meet whether or not to offer trophies for DII dogs. Top points are awarded to the highest finishing Division II approved dog. Minor points to the second highest finishing Division II dog, and to the third highest, etc. DII titles are as follows. After earning their "X", a dog is no longer eligible to earn points, but is still eligible for placements and trophies. Points will drop down to the next DII registered dog. To have your dog approved for DII please send your dog's registered name, call name, owner, and three generation pedigree (or link to the pedigree) to DivisionII@comcast.net. If there are dogs with questionable eligibility, a three person race committee will make the final judgement. Dogs which earned DII points prior to 6/1/2015 are already approved. To request earned points for your dog, you must send a copy, photo, or link to the final results to DivisionII@comcast.net within TEN DAYS. You will receive a confirmation email that points have been awarded. One of our initial concerns was that some DII dogs who win will bump up to higher races and possibly not get points allowing a dog in a lower race to pick up points and possibly place ahead of the dog that won their previous race. Turns out, this has worked out exactly the same as the top of the board when one dog may bump up to the high for winning their previous race, finish last in the high point, then get jumped for points/placement by a dog they just beat who wins the semi..... It's just a part of racing! The same dogs have consistently been in the top 3 pictures, so it seems to be working rather well. As we've said from the start, this is a rather new program, and we review the rules and eligibility at our annual meeting to make improvements and address any new issues as they arise. If you have any questions please feel free let us know. Here is a printable Word document of the Division II information above. Ceasar, first D2Ch title earner!